What comes before Black Friday, besides Thanksgiving? In the world of retail, Pre-Black Friday, apparently. On Wednesday, Nov. 26, Target is offering a number of great deals on Apple products. 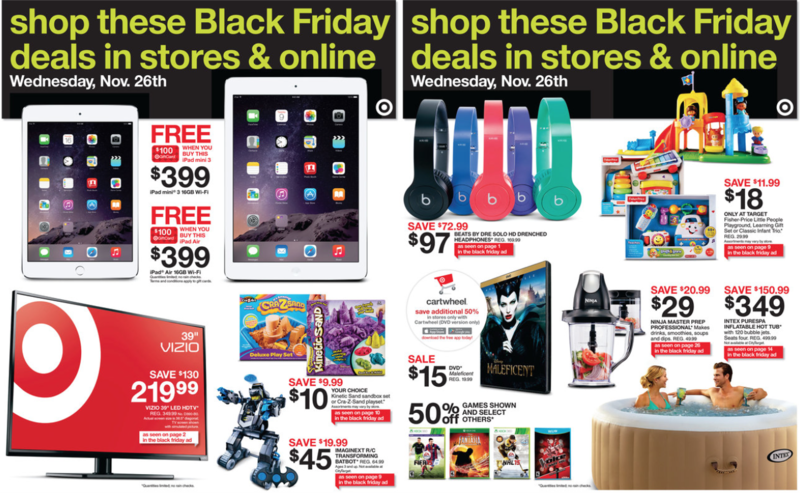 Starting this Wednesday, Target guests can get a head start (both online and in retail stores) and enjoy early Black Friday deals on select must-have items, including the first-generation iPad Air and Beats by Dre Solo HD headphones. Earlier this month, Target announced Black Friday deals that begin on Thursday, Nov. 27. Promotions include receiving a free $140 gift card with the purchase of a $499 16GB iPad Air 2, or receiving a free $100 gift card with the purchase of a $399 16GB iPad Air. 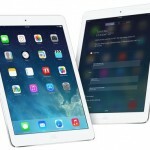 See also: Best Buy is offering its own slate of deals on Apple products before Black Friday, Walmart starts Black Friday sales a week early with iPad Air 2 and iPhone 6 deals, and Give thanks to Apple for offering Things as its free App of the Week on the App Store.